"You can't be serious!" Good news, Ghibli fans! 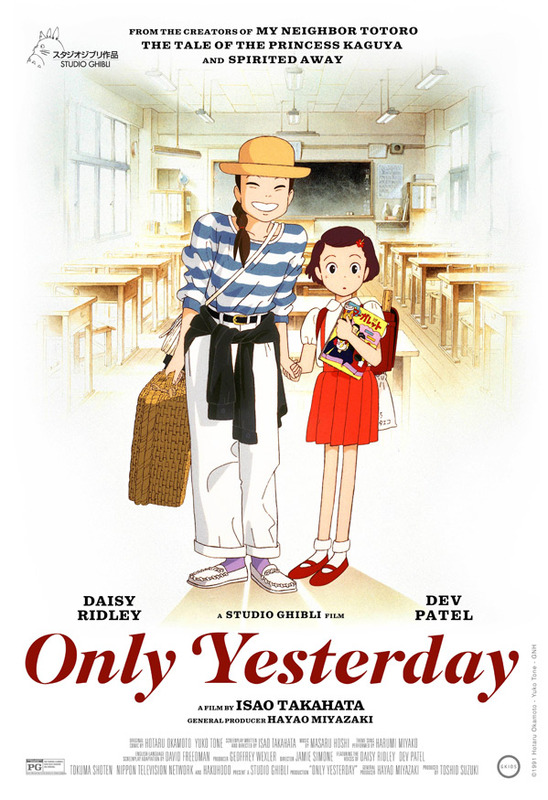 GKids has already re-released the 1991 animated film Only Yesterday at the IFC Center theater in New York City, and should be expanding it to more theaters later in February. The new re-release version of this film features the voice of Star Wars: The Force Awakens star Daisy Ridey, as well as Dev Patel, meaning it has been redubbed in English if you catch it in theaters in 2016. The animated film is about a 27-year-old girl who travels to the countryside while reminiscing about her childhood growing up in Tokyo. It's one of the most beloved Ghibli films. Go see it in theaters if you can. For more info on the US release of Takahata's Only Yesterday, head to GKids' site or follow @GKIDSfilms.